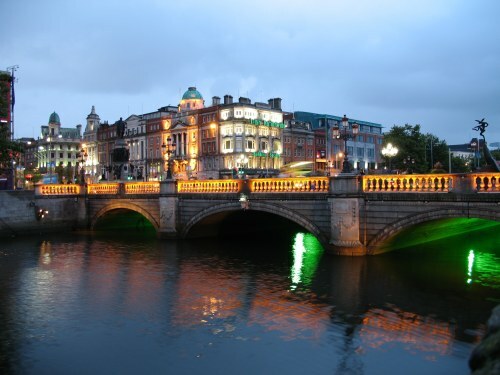 British Airways has dropped the price of their flights from Ottawa to Dublin, Ireland down to $350 CAD roundtrip including taxes. I've been seeing incredibly low prices from Western Canada to various cities in Europe on British Airways all morning. At first I thought they were an error, as they were only showing up on CheapOAir but I've started receiving reports from people that they have received their ticket numbers and can check their bookings on the British Airways website. There hasn't been as many great price drops from Eastern Canada (except Montreal to Greece) but this one from Ottawa to Dublin definitely stood out. UPDATE: I am now seeing flights from Ottawa to Paris, France for $339 CAD roundtrip! NOTE: For anyone finding that the CheapOAir (dot ca) website is extremely slow right now, try accessing it from a mobile device. The mobile site seems to still be fairly fast. Try Wednesday to Wednesday dates in November 2017. You can also try Mon/Tue/Wed/Thu dates in the other months listed above. You can also try the Google Flights strategy at the bottom of this blog post. I will update this post if I see any unusually cheap ones to these cities from Ottawa. You'll notice the departure city is Toronto, not Ottawa. That's ok, we're just looking for the possible cheap date combinations, and it's easier to find them using Toronto as your departure city. 2. Change the destination to one of the ones listed in this blog post. 3. Click on the departure date box to open the calendar view and browse for the cheapest dates you can find. UPDATE: I haven't seen any on Cheapoair.ca for a while, but these may still be available on the Cheapoair (dot COM) website. The CheapOAir.com website is in $USD. I just saw Ottawa - Paris for $285 USD, which works out to $367 CAD. ^^ This was April 9 to Apr 16. But keep trying different dates, it's not over yet! It's a little hard to find the spot where you enter the promo code. It's on the payment page, under 'Price Details' (USD). ottawa, yow, flight deals, ireland, europe, western europe, dublin, dub and british airways. 5 Responses to "Ottawa to Dublin, Ireland - $350 CAD roundtrip including taxes with British Airways | Paris, France for $339"
The .com website is in $USD. I just saw Ottawa - Paris for $303 USD, which works out to $390 CAD. Multiply what you see on the .com website by 1.29. Unfortunately these have all disappeared this morning from across Canada. Nooooooooooo dammit! Snoozed and lost :*( -- keep the good tips coming though, Chris!